It’s exciting to see so many teachers relinquishing control and empowering their students. Stephanie in Singapore had kids do their own set up on the first day of school and the inspirational folk of Studio 5 at ISHCMC have broken yet more moulds. 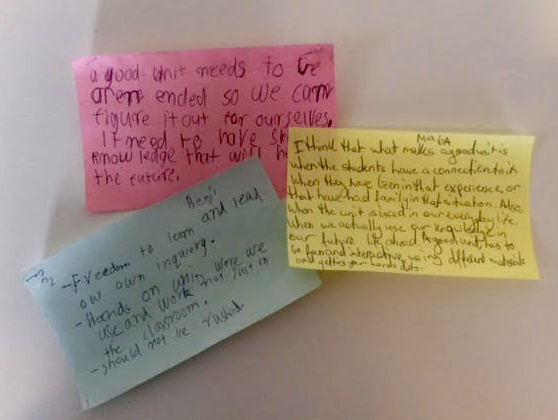 Right here in Aus, at my own school, some students are planning their own inquiries in the same way that teachers plan, and teachers are releasing control and reflecting candidly about the process in the pursuit of learner agency. What if you’re not ready to release control to this extent? How might you start small? What might some first steps be towards an increase in agency for your learners? Ron Ritchhart’s 8 cultural forces provide a platform from which to embark on your journey. Just apply them to agency, instead of thinking! How might you build a culture of learner agency in your classroom? What sort of language will you use? Do you talk about learning, rather than tasks and work? Is your learning framed as a question that invites learners into the process? Do you ask the learners’ opinions and really listen to what they say? Do you notice and name learning assets? Do you refer to your students as authors, mathematicians and scientists? How is the environment organised to foster agency? Who designs the learning space? Whose thinking is on the walls? Are there options for where and with whom to sit and learn? Are materials and resources well organised and easily accessible? What sorts of opportunities are offered? Are there opportunities for learners to pursue their own inquiries? Are there opportunities to write for an authentic audience and to extend learning beyond the classroom? Are there opportunities for learners to wrestle with challenging problems and design solutions? Is there time for thinking, reflecting and inquiring? Who manages the time? Is self management encouraged? Is time used constructively for meaningful learning, rather than just completion of set tasks? Do students waste time waiting for the teacher, when they could be doing something more worthwhile? What dispositions do you model? Do you model vulnerability, apologise when you’re wrong and talk about your mistakes? Do you openly change your mind and your plan? Do you model decision making and talk through the process aloud? What routines are in place to encourage agency? Are there routines for accessing equipment, sharing learning, asking for help…without waiting for the teacher? Do they start when they’re ready, rather than waiting till you have finished giving the same instructions to all? Are there routines for giving and receiving peer to peer feedback, without being told? What kind of expectations are clearly set? Are learners expected to and trusted to take ownership of learning? Do they have (at least some) choice and voice in what they learn and how they learn? 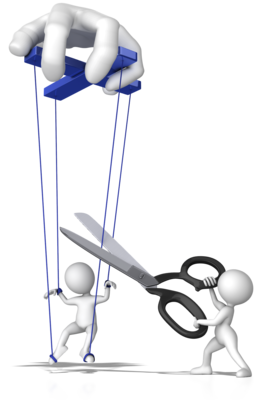 Is initiative valued over compliance? How do interactions foster agency? Are interactions between you and your learners mutually respectful? How well do you know every child’s story, her interests, her passions and her insecurities? Can she tell that you care? Do your interactions demonstrate belief in the learners’ capacity to own their learning? Can they tell that you trust them to learn? What small action will you take to shift the culture in your class? After the group discussions, individuals think about how they might further encourage student ownership this term and they record these goals on a shared Padlet wall started last term by the upper primary staff. What does student ownership look like? ‘Imagine if we did this with kids’… I said in my previous post and, within a few days, some teachers have! The learners work in mixed groups across two Year 6 classes and respond to the same question that we gave the teachers last week: ‘What does student ownership of learning look like’? The teachers move between the groups, asking probing questions, encouraging the learners to think more deeply. Teachers tell students where to go, but they choose their own route to get there. Teachers tell the students what to do, but they decide how to do it. People can have their own opinions and points of view. Freedom to learn and independence. Taking pride in your own learning. Thinking and reflecting about what and how you learn. Doing your work without letting yourself be distracted. We are all unique in our learning and thinking styles. Teacher opens the door, but only we can walk through. Choosing wisely where to sit and who to work with. It’s only Day 2 of the school year and I know things will develop as the year unfolds. These young learners have teachers who value student ownership and will work at establishing a culture where this is real. They are part of a learning community where ownership of learning is valued and beliefs about how this takes place have been articulated and agreed upon. Have our learners really experienced ownership of their learning within a school context? Are the children saying the sorts of things they think teachers are looking for? Can our learners imagine what really owning your learning looks and feels like? Do adults really believe that children can be the owners of their learning? Is ownership of learning compatible with traditional models of school? How can we help children (and teachers) separate the notion of learning from that of ‘doing school’? Does our practice align with our beliefs? Enthusiastic students from Years 4, 5 and 6 sit in a circle at the end of the day and share reflections on our Program of Inquiry. I tell them the teachers are considering which units to keep and which need changing and they are eager to have their say. As always, the children’s insightfulness delights me! Enough for kids to explore. Not too small. Open ended, so we can figure it out for ourselves. Skills and knowledge that will help for the future. Their reflections about the specific units of inquiry turn out to be less valuable than the bigger picture. Ask yourself these questions about ALL the learning in your class? Are there options for the learners to investigate what interests them? Are there possibilities for everyone to connect to the learning? Do the learners have freedom to explore? Is the learning relevant to their lives? Is the learning engaging and challenging? Are there opportunities for play? Is it open-ended so learners can figure things out for themselves? Are there opportunities for development of skills and knowledge for the future? Does the learning extend beyond the classroom? Is there enough time to for deep learning?